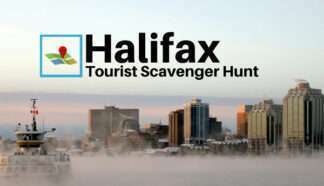 Have questions about Tourist Scavenger Hunts? We have answers to our Frequently Asked Questions section below! When can I play a scavenger hunt? You can play a scavenger hunt at any time. However, it is recommended to do it during the day, as long as it is not raining as they require you to walk outside. When can I buy a scavenger hunt? You can buy a scavenger hunt at any time. However, for timekeeping purposes, we recommend you do not activate it until you are at the start location ready to begin. 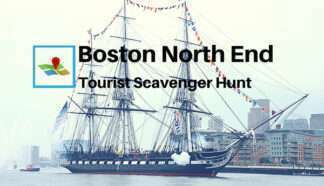 Are other costs involved in the scavenger hunt? No. All locations you will walk to and through are open to the public freely. The only cost you may incur if you did not plan accordingly is bottled water along the way. How many people can be in my scavenger hunt team? The ideal team size is between 2 and 6. You can split up into teams, each buying your own scavenger hunt, in order to compete for bragging rights of who will have the best time and the most points. 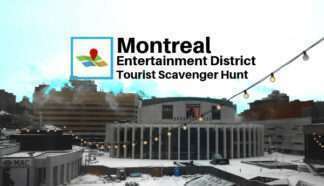 What do I need to bring on my Tourist Scavenger Hunt? You should bring a water bottle, hat in case you need it, sunscreen as you’ll be outside for 2 or more hours, an umbrella in case it rains. Most importantly, as you will be using your smartphone throughout this adventure, it should be fully charged before starting. Bringing a battery charger would not be a bad idea either. 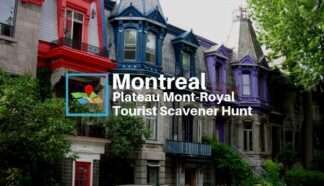 Is doing a Tourist Scavenger Hunt complicated? Are you organizing a corporate activity, or an event for many people? Do you want them to complete a particular scavenger hunt during your event? Note that the ideal group size in performing a scavenger, so that everyone has fun and feels involved, is between 2 and 6, however, there is no actual limit to group size. We can offer a 20% discounts when you buy 5+ groups at once, for the same hunt (i.e. they would do it simultaneously, or almost). Further, if you are buying many groups at once, we can invoice you if that is more convenient. This, however, should be set up 1 month ahead of time. The delay is to ensure payment is processed and that individual group leaders get their accounts set up properly so they easily start their scavenger hunt when the time comes. This last step is set up automatically when bought online. Is this activity appropriate for younger children? Yes, most definitely. While it is a fun activity for a group of friends, it is also designed with families in mind. Most challenges require observation and/or counting things. These are easy for children to participate in. 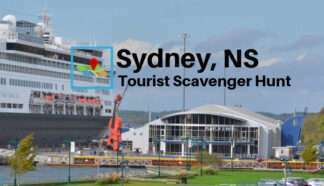 The only thing to consider is that these scavenger hunts vary from 3 to 5 km / 2 to 3 miles all depending on the chosen location. 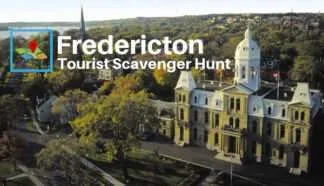 The indicated time for each scavenger hunt is the approximate time needed to walk from start to end, with time to solve the various challenges. Some people either run or do it on a bicycle in under an hour. Others stop to visit most of the sites, or to eat, along the way and take all day. Others yet have split it over 2 days. There is no time limit to respect. Will someone be at the starting point to guide us? No. There is no human guide to point you in the right direction. The guide is the instructions you will receive on your smartphone. At what time do the scavenger hunts run? There is no fixed timetable. The is no human guide to accompany you, only the instructions on your smartphone. You can thus start a tourist scavenger hunt whenever you wish. Only be aware that it is recommended you do it when most sites and museums are open. This is in case you need to ask a question of someone. However, it is not an obligation. I bought a voucher on Groupon or Fever, now what? We occasionally run promotions with Groupon, Fever and other local partners in the markets where we have a Tourist Scavenger Hunt. Once you’ve purchased our hunt from them, you need to “buy it” again on our site using the COUPON CODE they will give you. It looks like this : xxxx-xxxx-xxxx. The price will be $0 as you’ve already paid for it. Then, follow the instructions in the email you will receive for your next steps. Should it rain, or any other unforeseen event occurs which would stop you from completing the scavenger hunt, don’t worry. First, start by saving your progress. Then, remember where you are at geographically, such as your current intersection. You can return here later in the day, or on any other day, to continue your scavenger hunt. When you return to the same location where you previously stopped, you will need to log into our site. From the “Your Account” menu select “Scavenger Hunts” to reload your selected hunt. It will pick up where you left it. Can I buy more than 1 for a group activity? Yes, you can buy more than one, however, they must be separate purchases – each associated with a user account that will perform the scavenger hunt. You can go about this a few ways. A good team size should be between 2 and 6. 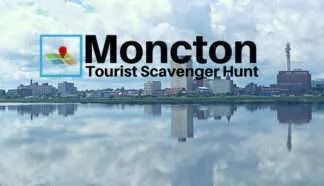 Select a team leader for each team and each buys the same Tourist Scavenger Hunt. Alternatively, you can contact us so we can have you pay once, either by credit card or by invoice. Then we’ll supply you with your own unique coupon code to distribute to your team leaders. 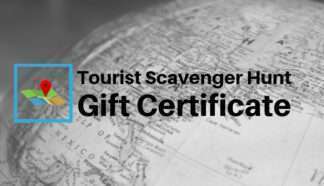 Each team leader will then proceed to “buy” the Tourist Scavenger Hunt using the coupon code to gain access to the same hunt. Do you have another question? Do not hesitate to contact us and we’ll strive to respond rapidly to your inquiry!